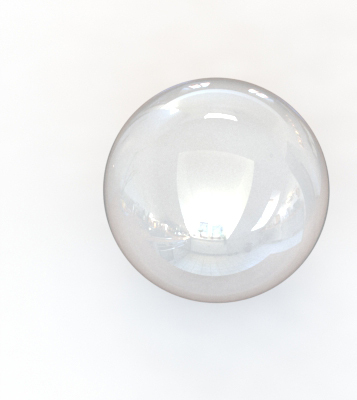 Borosilicate glass balls are resistant to corrosion and remain absolutely neutral, even to aggressive chemicals in nearly all fields of chemistry. It is extremely resistant to water, acids, organic substances, halogens and it also has a high alkali resistance. AISI 316 stainless steel balls meet requirements for an unhardened ball with excellent toughness and resistance to corrosion. AISI 316 is an austenitic, chromium-nickel-molybdenum stainless steel and heat resisting steel with corrosion resistance superior to most other chromium-nickel stainless steels in many types of chemical corrodents, as well as, marine atmospheres. All sizes and grades are of the highest quality and in accordance with AISI 316. 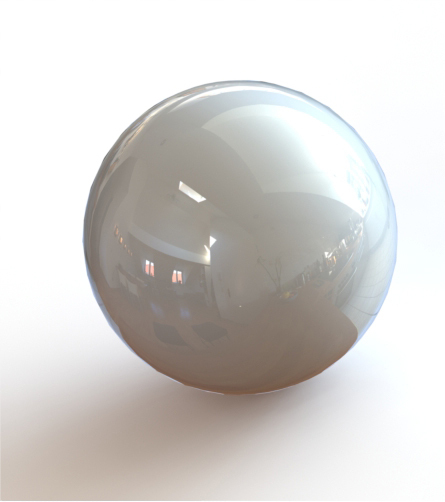 AISI 316L stainless steel balls meet requirements for an unhardened ball with excellent toughness and resistance to corrosion. 316L is a low carbon austenitic, chromium-nickel-molybdenum stainless steel with general corrosion resistance similar to 316, but with superior resistance to intergranular corrosion following welding or stress relieving. Parts made from 316L are generally limited to service temperatures up to 800ºF (425ºC). All sizes and grades are of the highest quality and in accordance with AISI 316L. Acetal (POM) is considered a high performance plastic. This particular plastic has excellent chemical resistance, solvent resistance, wear properties and is self lubricating. The natural color of Acetal is white. This material, in its natural state, is heavier than water; meaning it will sink in water. The maximum continuous operating temperature in air for Acetal is 180°F. Alumina Oxide Ceramic balls are particularly well suited for use in extremely harsh environments where high temperatures, corrosive and erosive substances are present. Standard 99.5% alumina oxide ceramic balls have proven performance in wear, heat and corrosive environments, as well as, in maintaining dimensional stability at temperatures up to 2000°F. Alumina resists oxidation and is tolerant to water, salt solutions, and many chemicals and acids, but is not suitable for use in hydrochloric or hydrofluoric acids or strong alkaline solutions. Polypropylene (PP) has great chemical resistance properties and is generally described as a commodity resin with engineering resin capabilities. PP raw material comes in standard grade. FDA grades are available. The natural color of the raw material is translucent white. 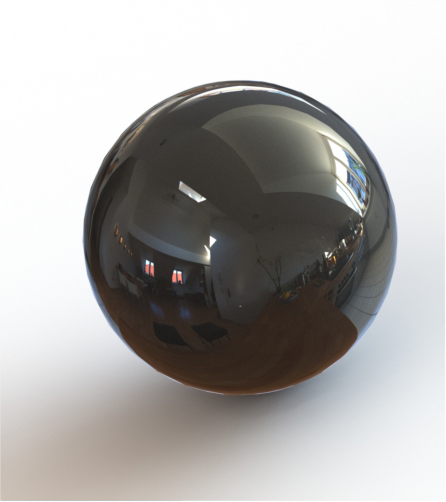 This material, in its natural state, is lighter than water, meaning PP balls float in water. Superior Surface Finish, Ra 0.1 7-0.25 micro inches may extend. Torlon® polyamide-imide (PAI) is the highest strength and stiffness material of all thermoplastics with heat properties up to 525°F. It has outstanding resistance to wear, creep, and chemicals including strong acids and most organics and is ideally suited for severe service environments. The natural color of the raw material is olive. 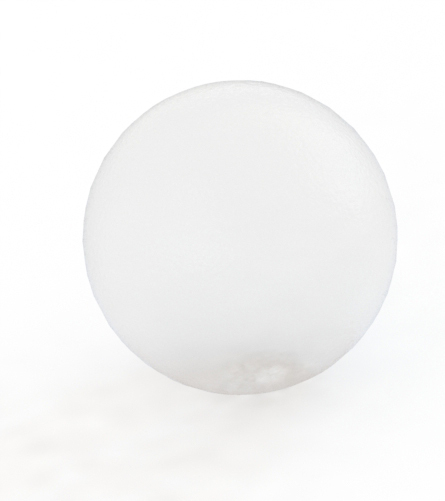 This material, in its natural state, is heavier than water, meaning Torlon® balls sink in water.